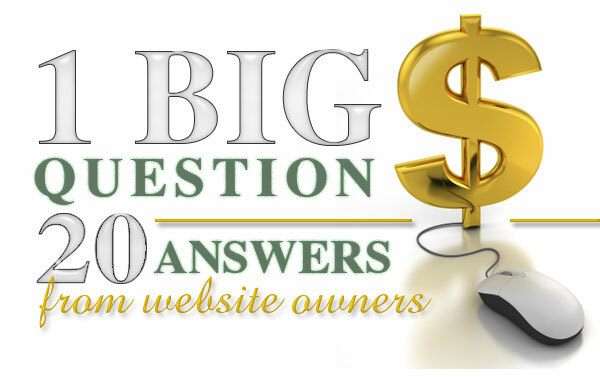 Q:How do you monetize your website? If you want to start earning income from your blog or website, you’ve come to the right place. We asked site owners around the country to share their best monetizing techniques, and they delivered with some great tips. From affiliate marketing to selling e-books, mastering search engine optimization and so much more, you’ll find a ton of ways to make money from your own site. Take a look at the advice that follows, and choose the techniques that will work best for you. Financial success is on the way! 1.“I have two ways I have monetized my blog that have generated good income and are not annoyances for my readers. The first is Juice Box Jungle which is a cute mom-centered widget placed on your blog. It only plays a video when clicked and you get paid per impression. Because my readers don't have to do anything except load my blog in order to get paid, it's a win for both of us! 2.“I chose several means of monetizing my site, including affiliate ads that pay through ClickBank, and my own ads for my books and services. While this has garnered me some book review and editing work, the affiliate ads (and there are many of them) have not done so well. Given that the website costs me $400 per year to operate, I decided to add the BW Bookstore, wherein authors can have their books listed cheap: $1 per month or $10 per year. So far, this has helped greatly. 5.“I'm new to the whole website/blog world, so my focus is on gaining enough traffic to make monetization feasible for my site. So right now I'm focusing on driving traffic to my site, through channels like HARO, comments/links in good strong forums, and publishing stories/articles for sites like More.com. 6.“From my experience the best way to monetize your blog is to create a product like an e-book. I have done it with my Twitter Marketing E-book and I recommend all bloggers to try and create their own products. 13.“Choose advertisers that fit your audience. It sounds like a no-brainer, but newbies into the world of monetizing blogs can be easily swayed by advertisers who offer high monetary rewards. Your blog will earn more money in the long run if you make a high number of targeted sales to customers who are genuinely interested in a product. For example, don't advertise anti-aging skin care on a blog about baking. While, yes, some readers who like baking might be interested in anti-aging skin care, it decreases the credibility of your blog when the advertising is too far off from the content. Learn search engine optimization. You can have the perfectly monetized blog in place, but it won't do any good if you don't have a thorough understanding of how to drive traffic to your site. Taking the time to learn how to optimize your content so readers find it will be of great benefit over time. The more readers and visitors to the site, right from the start, the faster your blog and website will earn money, grow in readership and boost your bank account. 16.“The main way I’ve been able to monetize is keyword research. Whenever I get ready to write about something, I research the most popular keywords related to that subject with Google's Insights for Search tool and make good use of them. A lot of times, the terms aren’t what I would choose on my own, but I believe the research and using popular synonyms has really paid off (literally). The book Search Engine Optimization is a great resource for beginners, too. 18.“As the publisher/writer of two distinctively different blogs, monetizing them is something that we struggle with. We've kept things quite simple at this point. We use AdSense as I've found that they generally offer ads that coincide with what we may be writing about (although I've had times when they were TOTALLY off base). We offer individual advertising on our sidebar and every now and again we'll add an affiliate ad if it's something that we'll be writing about or highlighting. Now you have the tools to start earning cash from your blog or website, too. We hope you’re inspired by all the useful tips. Here’s to your money-making success! MARCIA PETERSON is a columnist for WOW! Women on Writing and manager of WOW!’s blog, The Muffin. Her writing awards include first prize in the South West Writers International Monthly Writing Competition and first prize in ByLinemagazine's short article contest. She lives in Northern California with her husband and two children.